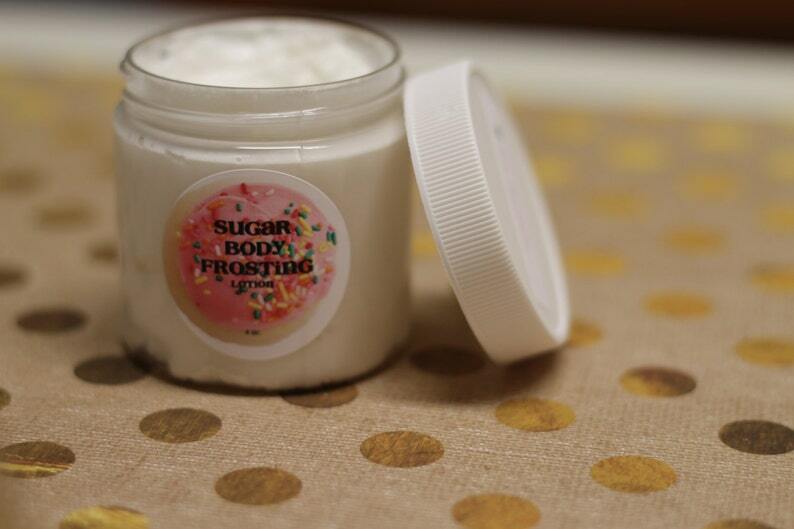 My SHEA BUTTER & COCONUT Oil Body Frosting Lotions are a soothing and luscious treat for your skin. All Frostings are made in small batched & fresh to order. I designed this product as a soothing butter lotion to use on my toddler using as little ingredients as possible. A little goes a long way... I like to slather this on after I shower when I am slightly damp and towel dry. It's so creamy and soothing! Seasonal Advice: If this product arrives a little melty because of the weather just put in the fridge for a bit & stir. It will still work just fine. (c) 2018 Sugar Sugar Scrub. All images, info, descriptions etc. on www.sugarsugarscrub.com and www.sugarsugarscrub.net are the property of Sugar Sugar Scrub.